When the going gets rough, we're going nowhere without desire. And the going will get rough. The world, the minions of darkness, and your own double-mindedness are all set against you. Just try coming alive, try living from your heart for the Sacred Romance and watch how the world responds. They will hate you for it and will do everything in their power to get you to fall back into the comfort of the way things were. Your passion will disrupt them, because it sides with their own heart which they've tried so hard to put away. If they can't convince you to live from the safer places they have chosen, they will try intimidation. If that fails, they'll try to kill you—if not literally, then at the level of your soul. He says, in effect, "You put this Romance in my heart, you drew me out on this wild adventure—how could I keep from following? But now that I have, it has only brought me the fury of my community. And what's worse, I cannot walk away. I'm trapped by my desire for you." 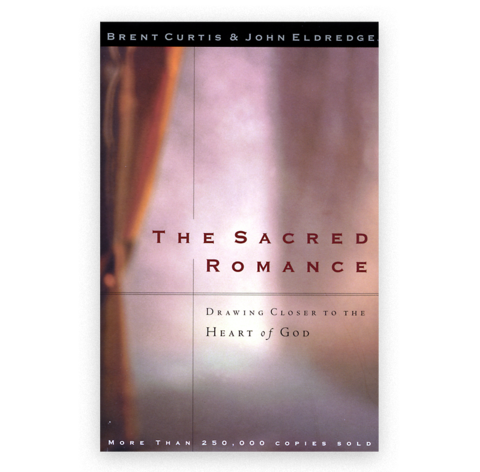 Jeremiah may have become a prophet initially out of a sense of duty, but now he is caught up in the Sacred Romance because he can't help it. When the going gets rough, ought is not enough to keep you going.